New Delhi: The Reserve Bank of India (RBI) wants India Infrastructure Finance Co. Ltd (IIFCL) to focus on direct lending and restrict the refinancing business as it raises the cost of funds for end borrowers. State-owned IIFCL provides credit for infrastructure projects. “RBI wants IIFCL to remain in the business of direct lending. They want our activity to the refinance business to be restricted to the bare minimum," said S.K. Goel, chairman and managing director, IIFCL. RBI conveyed its view to the government while approving the registration of IIFCL as a non-banking financial company (NBFC), effectively bringing the lender under its regulation. In October the cabinet had given its nod to convert IIFCL into an NBFC. It also cleared the proposal to increase its authorized capital to Rs5,000 crore from Rs2,000 crore, with a provision that it could be further raised to Rs8,000 crore. “At the time RBI’s consent was sought, it suggested this change in the business strategy. The board will have to take a call on whether to agree with this. But for now, we are not doing any refinancing," said Goel. IIFCL provides refinance for term loans sanctioned by banks and public financial institutions for commercially viable projects in the roads, ports, railways and power sectors at 7.85% currently. These institutions then add their margins and on-lend to end borrowers at a higher rate. IIFCL’s refinance book is at around Rs3,500 crore currently, about one-fifth of its total loan book of Rs18,000 crore. 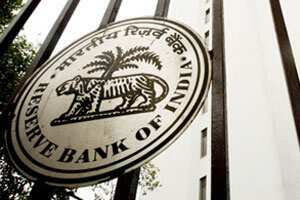 RBI wants IIFCL to focus on new products such as take-out financing and credit enhancement. It favours these direct financing routes to offer the best possible rates to project developers, Goel said. IIFCL is targeting disbursements of Rs7,000 crore under take-out financing. The term refers to an understanding that the loan will be taken out of the books of the financing bank within a pre-fixed period by IIFCL. “Winding down the refinance activity will not be disruptive for the market considering IIFCL’s refinance book size is not very large compared to the financing requirements of the infrastructure sector," he said. IIFCL also expects RBI approval soon for registration as an infrastructure financing company. “The approvals should come in a month’s time. We were already informally following RBI’s norms. So we will not have to make many changes," said Goel. Once IIFCL is registered as an infrastructure NBFC, it can access the overseas market at a very good rate due to its sovereign backing, said Roy. “It can raise external commercial borrowings up to 50% of its net worth," he said.